Even though the vaccine deniers champion the trope that these diseases are “not serious,” real evidence from real infectious disease medical specialists say otherwise. Measles, mumps and rubella can be dangerous diseases with debilitating complications, including death, for both children and adults. And as you can see in the map (click on it for greater detail), outbreaks of measles (in red), mumps (in olive) and rubella (in blue) are larger than it should be in both the developed and the developing world than it should be, given the easy access to the MMR (or MMRV) vaccines. These outbreaks are directly related to a subset of the antivaccination mob who believe that the MMR vaccine specifically causes autism, a disorder of neural development, usually appearing before the age of 3 years, characterized by impaired social interaction and verbal and non-verbal communication, and by restricted, repetitive or stereotyped behavior. This ridiculous belief is based on retracted paper authored by Mr. Andy Wakefield who fraudulently alleged a connection between the MMR vaccine and autism. If you want to read all about Wakefield’s despicable deceit, you can read it here, here, and here, a series of articles published in the British Medical Journal, a respected peer-reviewed publication. Recently, according to a UK newspaper, The Telegraph that described a frightening measles outbreak in the UK, “what actually caused the drop in vaccination uptake which led to Swansea was the autism scare, started and repeatedly stoked by Wakefield, abetted (it must be admitted) by the media.” It’s clear that, at least in modern, developed areas like the USA and Canada, Europe, Australia and New Zealand, and Japan, the outbreaks of measles lies right at the feet of Wakefield, and his unethical and immoral claims. There are no scientific or medical controversies about this conclusion. Medical and scientific experts have agreed with the conclusion that MMR vaccine is not associated with autism. But it did lead to a public health crisis based on this fraud. Well constructed epidemiological studies have also shown no link between MMR vaccine and autism in Denmark, England, Japan, Japan, Japan, Poland, and the United States. Despite claims that Wakefield’s findings were reproduced, not one single peer-reviewed paper ever supported the Wakefield’s claims. None. Numerous studies specifically invalidate his claim. When I look at that map, I see one man, who because of his own greed (Wakefield had his own vaccine he wanted to sell, and he received payments from plaintiff’s attorneys to show that MMR cause problems), is ultimately responsible for each of those outbreaks. 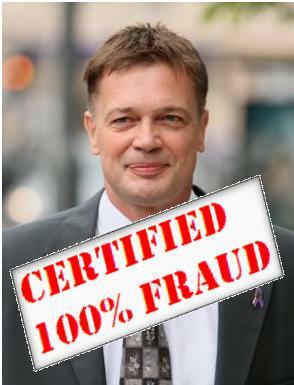 Until Wakefield published his lies (admittedly with the approval of one of the most prestigious medical journals, the Lancet), the MMR vaccine was considered to be one of the great lifesaving medical discoveries ever. Yes, there were pockets of vaccine deniers here and there before Wakefield, just like there are people, here and there, who believe in sasquatch, the Loch Ness Monster, or that the Unabomber knows the truth. But all of those crazies stayed in the background. The lesson of all this is that vaccination is not an individual choice to be made by a parent for his or her own offspring. It’s a public health issue, because the diseases contracted by unvaccinated children are a threat to the community. That’s what public health is all about, and an overly tolerant approach to non-medical exemptions — and publicity given to anti-vaccination charlatans like Wakefield and (Jenny) McCarthy by heedless promoters like, sadly, Katie Couric, affect us all. The MMR vaccine is safe. It saves lives. 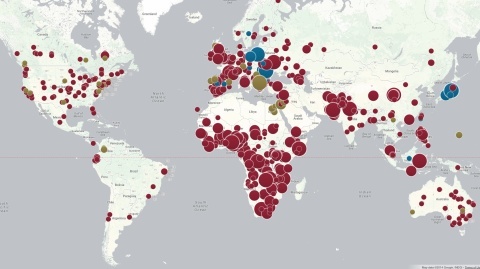 And nearly all of those outbreaks in that map could be prevented with the proper vaccinations. Flaherty DK. The vaccine-autism connection: a public health crisis caused by unethical medical practices and fraudulent science. Ann Pharmacother. 2011 Oct;45(10):1302-4. doi: 10.1345/aph.1Q318. Epub 2011 Sep 13. PubMed PMID: 21917556.